Awesome.. another great website layout into the toolkit.. thanks ET! Nice work but missing an important element: The daily/weekly/monthly schedule. Being a Club Member, what I do MOST is look to see what’s scheduled, what’s been cancelled, who’s teaching, who’s substituting. I need top-of-the-page access to these elements. Not to mention, signing in. What we see hear is a new-member, sales-oriented site. I can use this for other things but the elements I’ve mentioned are really much more important to members of the gym and should have been addressed. Most of the gyms I’ve done web work with use 3rd party scheduling tools like Mind Body to manage those schedules, bookings, etc. In fact, I cannot think of a single one that didn’t use a 3rd party tool. This layout pack is just fine for anyone in that situation. Typically, the vendor gives you a drop in widget for wordpress that offers a little customization. So choose a page layout you like, add that page to your menu and drop in the widget. Agreed. Anyone have any good resources or plugins for “schedule” pages? 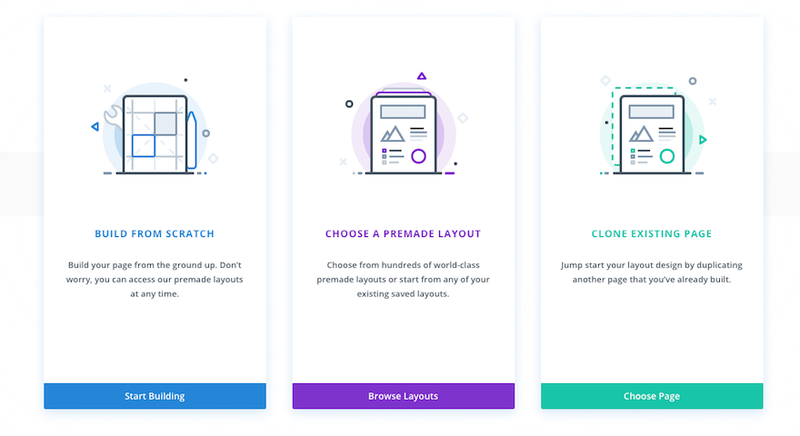 Great layouts,,,, BUT,,, someone forgot to put in the Classes page in the Divi Builder load layout – The “Landing Page” is in twice! So no “Classes” layout available. It happens to us all….. But if you could load in that layout that would be great guys, thanks for all the great work. How does this work with selling memberships? The gym I do a site for allows clients to pay online for their membership. I currently use WooCommerce to manage that piece. Would this layout be able to integrate something like that? 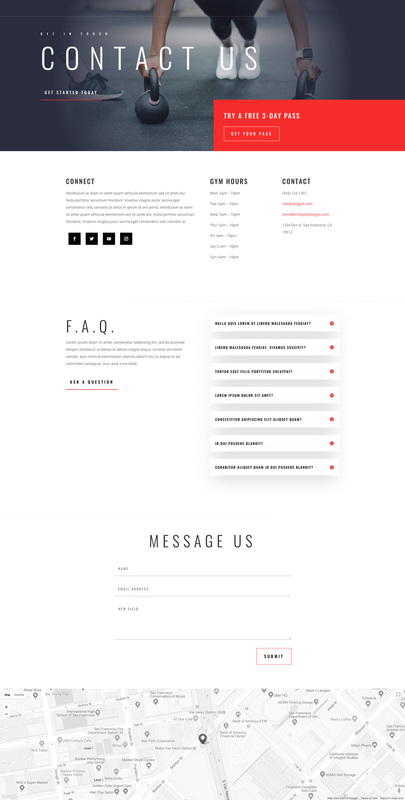 This is a layout that is included in the Divi theme to help you with the styling of your pages. 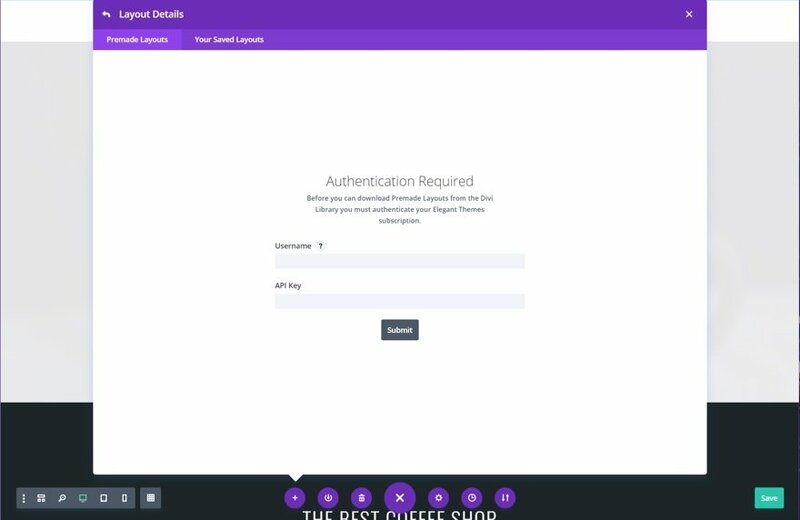 The actual functionality (like memberships) can be added using plugins, but this is not built in automatically. 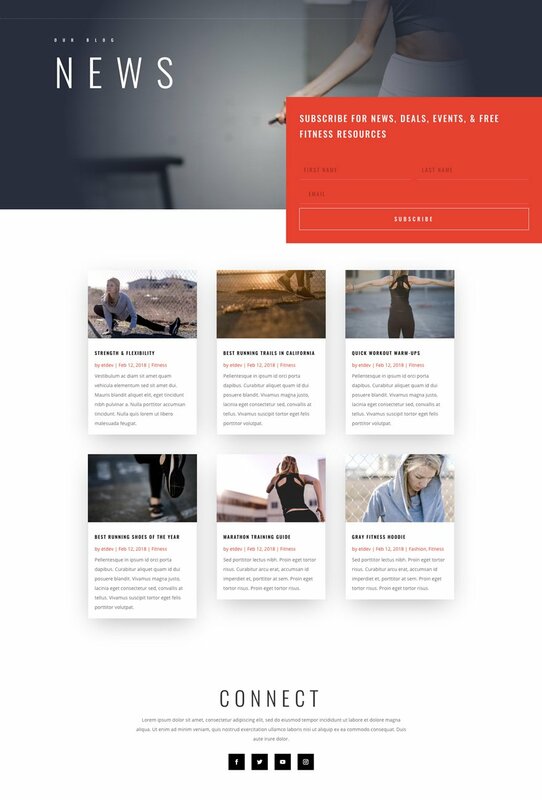 I design fitness sites and this is a nice layout. The layouts are getting better! Failure to explain the construction of the template. On the landing page, FITTNESS PROGRAMS function as a menu, but they are texts. Where is the explanation of the animation? Do you apply CSS styles in the hover event? I think it’s a great design, but it helps more customers to explain how it has been done. This post is meant to describe a free resource that is available to Divi users. We have many tutorials throughout our blog that may be able to help. Thanks. You did great job as usual. 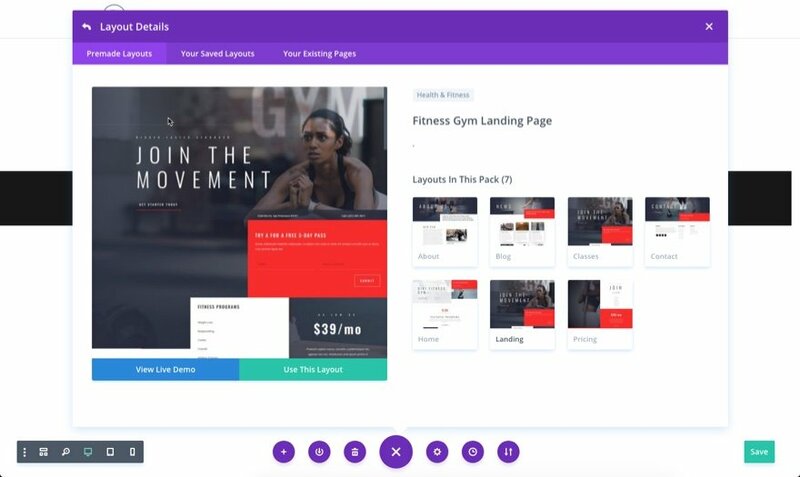 You don’t need any other layout to create a fitness, gym website with WordPress. Divi is the best. Great themes for every fitness enthusiast. Great theme, but for some reason every page I load the layout on my admin bar disappears. Any ideas on why this may be? Great layout pack, thank you. However for some reason every page I load the layout on the admin bar disappears. Any idea why? I loved this layout pack. I used one of the client websites he loved it so much. Divi is so much amazing. But you have to add more layout pack.